Visit any major American attraction, and you'll see the same thing: swarms of tourists pointing their GoPros, iPads, and retro Leicas (hipsters, ugh) at everything in sight. Will their photos be worth looking at? Probably not. Will they be uploaded to social media anyway? Of course they will. But which of our nation's tourist sights are photographed the most? Times Square? The Golden Gate Bridge? The world's largest ball of string?!? Guess what, it's none of those. At least not according to Sightsmap, which pulls geotag data from a Google-powered photo-sharing app to find the most photographed landmarks around the world. Nope, it's actually these 10 surprising spots. 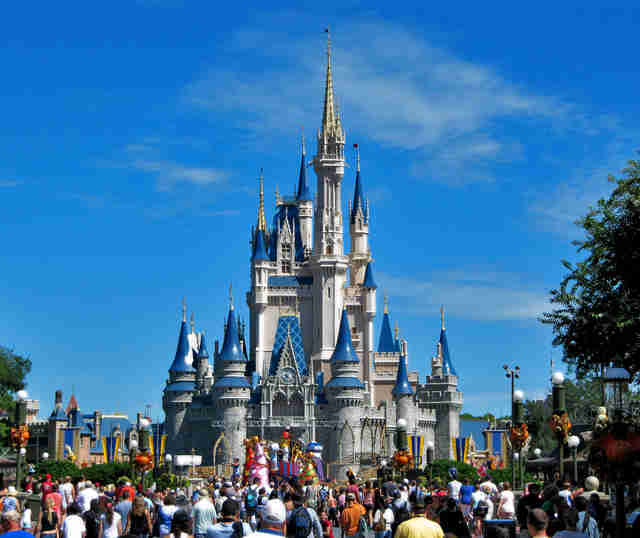 Sure, the walls are made of fiberglass instead of stone, but this Magic Kingdom monument is still pretty much the most impressive castle we've got in the States -- it's also arguably Disney's biggest icon after Mickey Mouse. Add in the thousands of visitors the park gets daily and the massive picturesque fireworks show held over the castle every night, and it's a wonder this fairytale fortress is only at #10. 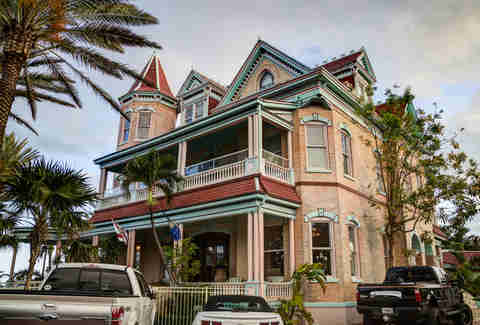 As its name suggests, this historic inn's location on Key West puts it closer to the equator than any other residence on US soil. Constructed in 1896, Southernmost House has hosted many notable figures throughout history, from JFK to Truman Capote. 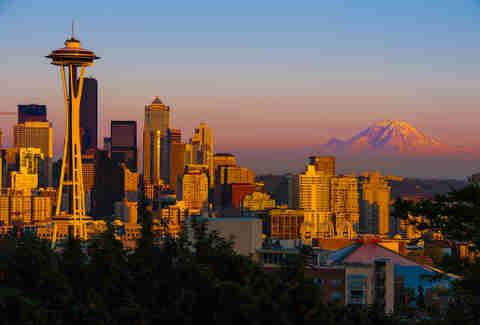 It might not be the tallest tower in the world, but the Space Needle's been the most iconic part of Seattle's skyline since its construction in 1962 for the World's Fair. Once visitors have snapped their shot, they can take a scenic 41-second elevator ride 500ft up to the rotating SkyCity restaurant, then go an extra 20ft up to the Observation Deck. In case you were too busy playing paper football in social studies class, here's a quick summary: British troops shot and killed five colonial civilians on this spot in 1770, contributing directly to the outbreak of the Revolutionary War. 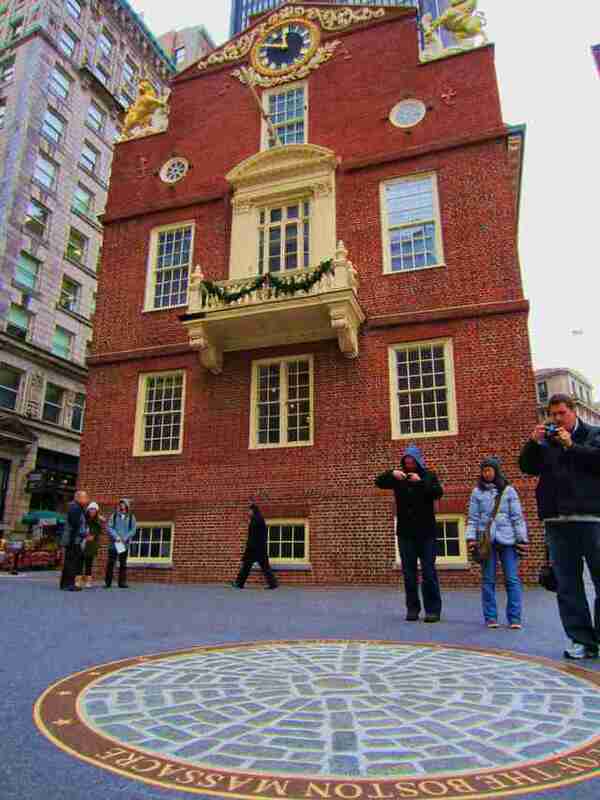 The commemorative cobblestone marker is a more recent addition, but the Old State House behind it was built back in 1715, and is the oldest remaining public building in Boston. 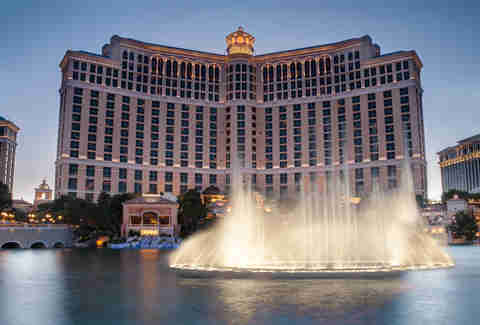 The Vegas strip is littered with photo ops, but anyone who's seen the end of Ocean's Eleven (Clooney, not Sinatra) knows the dancing waters in front of the Bellagio present an especially alluring spectacle. The fountain's water feature is comprised of 1,200 nozzles and 4,500 lights, and its recurring performances (every 30 or 15 mins, depending on the time of day) vary based on the music they're set to. Honest Abe's one of our nation's most internationally recognizable presidents (sorry James K. Polk), so it stands to reason that his larger-than-life monument in the nation's capital garners plenty of amateur paparazzi attention. 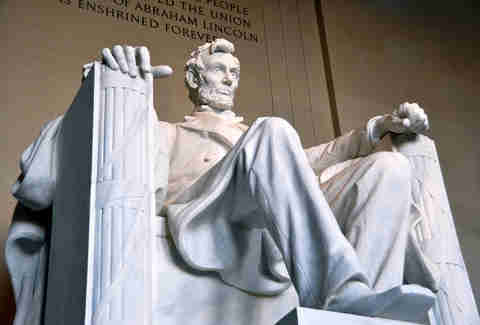 Despite the reverence for Lincoln, there's actually a typo in one of the memorial's two inscriptions -- someone carved an E instead of an F for the word FUTURE. The error was quickly corrected, but you can still spot the remains of the old E if you look carefully. This SF landmark is named after Lillie Hitchcock Coit, a wealthy patron of the city's fire department who donated a third of her estate to add "to the beauty of the city which I have always loved". In addition to supporting volunteer firefighters, Mrs. Coit was known to gamble, smoke, and be a general badass about town. 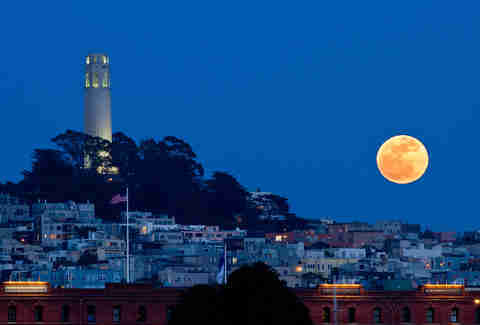 The monument was completed four years after her death in 1929, and offers visitors breathtaking panoramic views of the entire city from high up on Telegraph Hill. The second largest art museum in the country, this Beaux-Arts-style building houses many of the world's most important works (American Gothic, Nighthawks, and A Sunday Afternoon on the Island of La Grande Jatte to name a few). 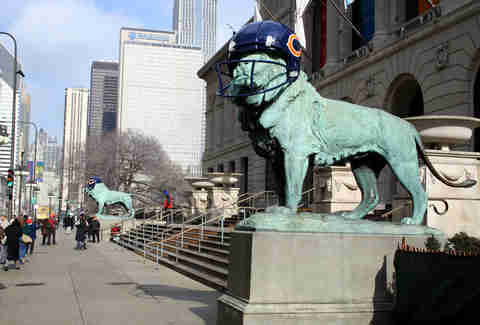 If the place looks a bit familiar, you're probably thinking of its cameo appearance in Ferris Bueller's Day Off. Relive that classic scene here, then ask yourself, "Whatever happened to Alan Ruck?" America and Canada share custody of this border-crossing landmark, but enough of Niagara falls (!) squarely inside US territory that it qualifies for inclusion. 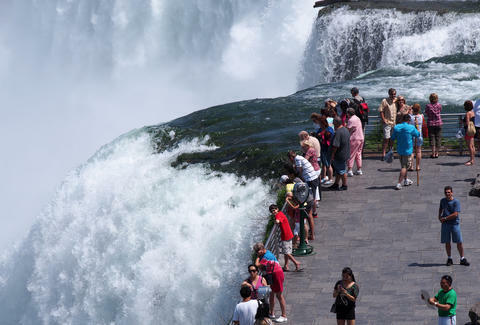 The number of tourists visiting the American side each year is a bit nebulous (even state park officials aren't sure), but apparently every single one of them takes a selfie before they leave. 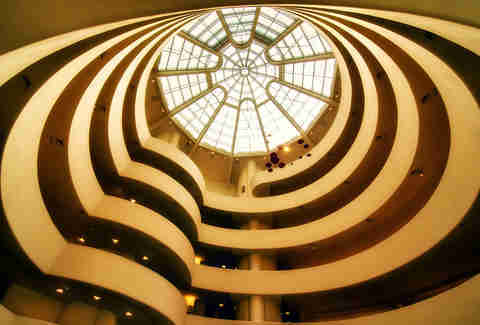 Not only is the Guggenheim the most photographed attraction in America, it's the most photographed in the world as well. Known as the final project of renowned architect Frank Lloyd Wright, the museum's open, spiraled atrium is arguably its most recognizable feature, and definitely the part you're most likely to see pop up in your Instagram feed. Gianni Jaccoma is an editorial assistant for Thrillist Travel, and he’s got a strict “no chasing” policy when it comes to waterfalls. Follow him over Niagara Falls in a barrel on Twitter @gjaccoma.